We are extremely pleased to announce that we have established a brand new company called Qmotion Australia Pty Ltd, based in Sydney, Australia (www.qmotion.com.au). For some time we have been aware that there is a huge potential market for our automation services in Australia, Asia and across the whole of the Southern Hemisphere. As a consequence, we have spent a great deal of time researching this expanding market and we felt the time was right to set up a company dedicated to developing business in these geographical areas, specifically in the specialist area of automation for the event and entertainments industries. Qmotion Australia will be led by Greg Gowans, a very experienced automation specialist. 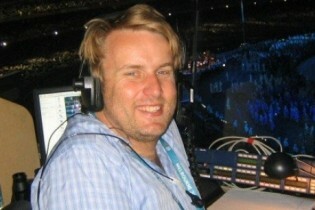 Greg was originally a client of ours when we worked together on the Ceremonies for the Melbourne Commonwealth Games in 2006. We then worked together on the Eurovision Song Contest 2006 in Athens and the Opening and Closing Ceremonies for the 2006 Asian Games in Doha. We are extremely optimistic that QmotionÂ Australia can look forward to an interesting and fruitful future having already delivered several projects in Australia, including: a dancing staircase for renowned national department store Myer and the automation for the stage production of Priscilla Queen of the Desert, which was moving from Sydney to Melbourne. We now have many projects in the planning stage in this region of the world, including the new Australian production of Spamalot, which we are currently in the process of installing.